Wondering how to spy on your competitor’s sites? Well, there are a number of ways you can gain a competitive edge by spying. There are a number of ways you can determine the WordPress plugins and themes your competitors are using these days. You will also be able to know how precisely you can benefit from the info. Feeling guilty of spying? Well, this is no sin because you aren’t doing this for copying someone else’s efforts. The spying is for the sake of enhancing your own website better and making it more competitive. In reality, you are actually taking a sneak peek at strategies and tools used by others for creating brilliant outcomes. You can use these for enhancing your own website and help it survive and have an edge over the competition. 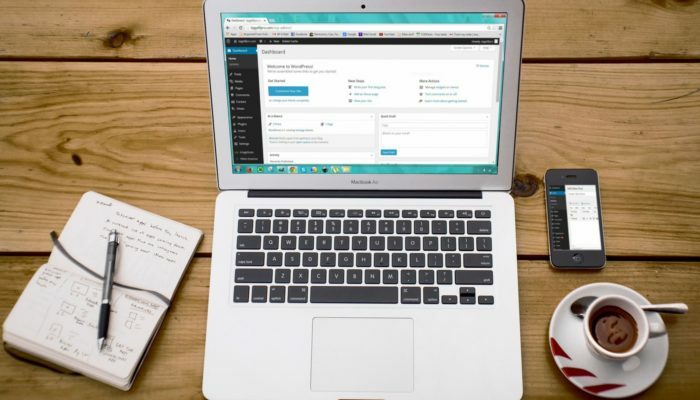 So if you are serious about your WordPress site gathering huge popularity and make gigantic moves, have a close look at WordPress themes and plugins of your competitors. This will help you discover the latest trends and get more creative than your competition. Being new to web development may overwhelm you. Since there’s too much info available online in the form of articles, blogs, ebooks, podcasts, and much more, it is natural to get confused. The best thing to do is have a check on the plugins that worked well for competitors. Let’s assume you happen to stumble upon a website or one of your clients sends it saying he likes it and you find it extremely impressive. The entire project may be super easy and can be done via installing a plugin to get desired results. At times, web developers and even the top web design companies may find the process of developing websites quite frustrating. Sometimes you might want to add a specific function to a WordPress site. However, the coding to execute the entire vision effectively may be a huge struggle.Later on, you might find that another website has done it really well. Who knows, you might find out that a plugin has actually helped with the feature? It is possible to rely on a brand new theme or plugin even if there aren’t ample customer ratings to validate the effectiveness. Sometimes, you may get to know about a site developed by a professional web developer who uses a new plugin. This will definitely help you to convince realize the importance of themes and plugins. It is possible to use the new-found talent to spy on plugins and themes of competitor’s websites. This way, you can determine the factors that are making a website look abysmal or perform horrifyingly. Hence, once you encounter a site with something clearly wrong and you wish to avoid that in your own project. Once you know about the way a WordPress plugin or theme functions, it is possible to utilize that specific data to your benefit. Let’s assume a direct competitor to site uses a free WordPress theme. It also has most of the functionality run by Jetpack. So it is wise to rely on free tools. This will help you make smarter web development choices that influence visitors to make a choice on site you design over others. You might also have ideas to enhance the speed and overall performance of the website. This can be done via investing in a lightweight and very high-quality WordPress theme. Other solutions include the addition of a CDN, installation of a top-rated caching plugin such as Hummingbird.